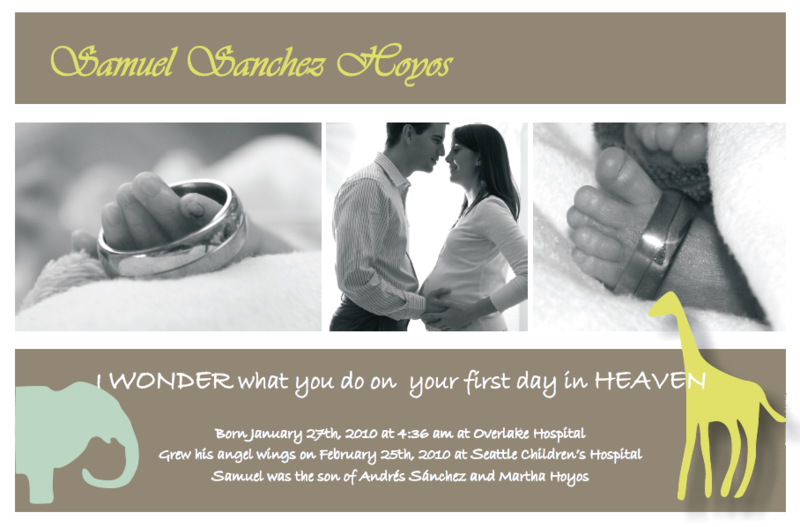 Please use the contact form if you would like to share your baby’s Memorial Card/Birth Announcement. I would be honored to post it on Dekar’s memorial site! it’s a little one we created and gave a name. as we hold her while she slips into the beyond. 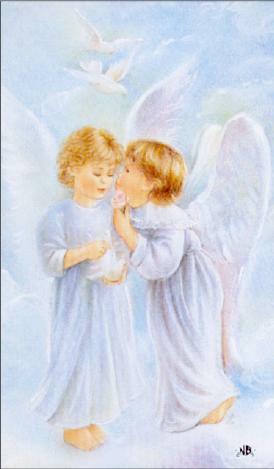 as our Baby is now an Angel that we will love forever. There are two versions of the memorial cards (below). This is the back and it was the same on both cards. 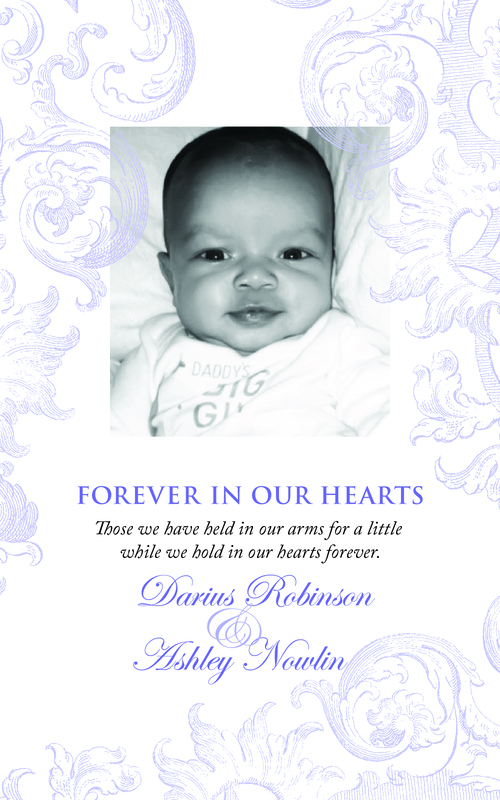 For those having trouble finding a photo/memorial announcement for their child, particularly on short notice, I thought I would offer an idea. I spent 5 hours yesterday trying frantically to find a meaningful, fitting photo card that would not only serve well as a memorial card, but arrive in time for my son’s service. I ended up going with tinyprints.com. They have a section for baptism/christening that has some photo announcements that are “generic”, so you can add or change the text. Most of the “birth announcements” end up with phrases like “welcome” or “it’s a boy!”, that could not be altered and it was very discouraging as I thought I would never find a nice Christian baby template that I could use. They also offer expedited processing and shipping so that you can get the order in as fast as 2 days. Just wanted to give a heads up in case other grieving parents stumble across this page, as I did, in their search to plan for the loss of a child.. God Bless. Thank you for the information Stacey. 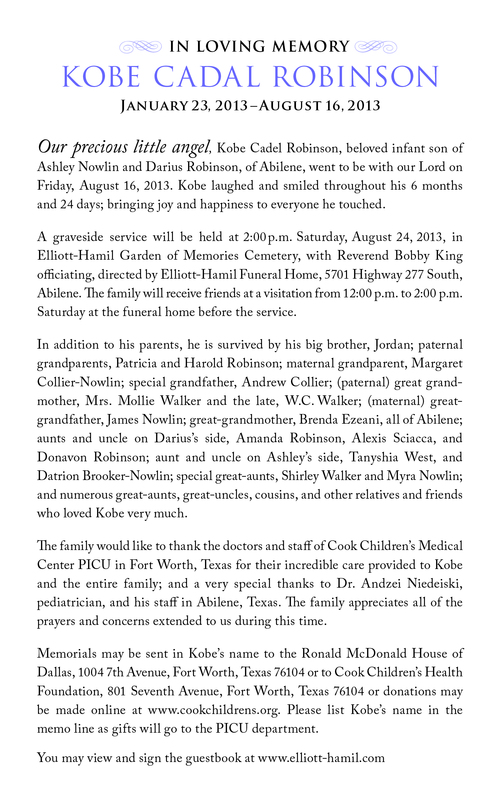 I will update my memorial card page with this information–it is very helpful. I did not have a memorial service so I wasn’t in a rush to make a card, but that is a big deal to have the ability to make a beautiful card quickly. I know Walgreens and RiteAid also have the generic cards that you can design yourself. That may work well, especially with the ability to pick them up locally. 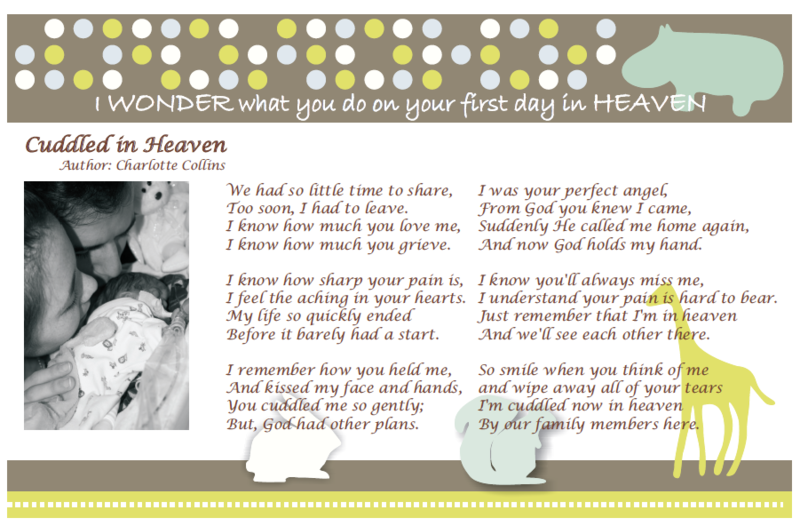 Tiny Prints has also added a selection of memorial cards. 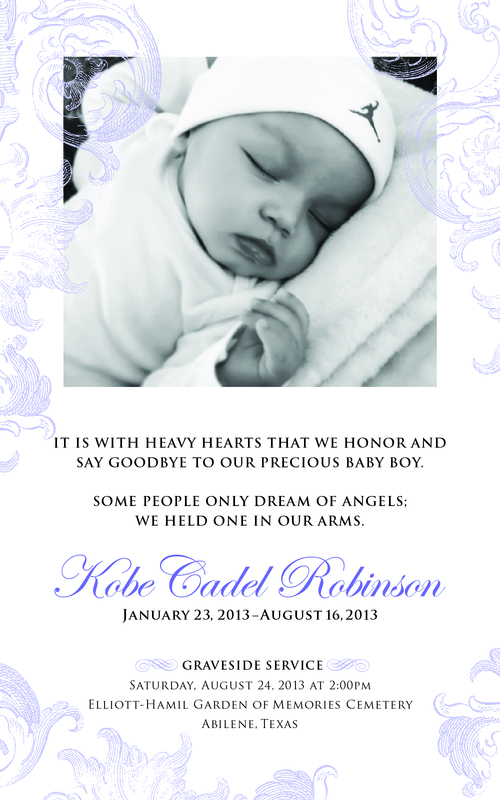 They are mostly for adults, but they have a few baby memorial cards. Hopefully they will add more! 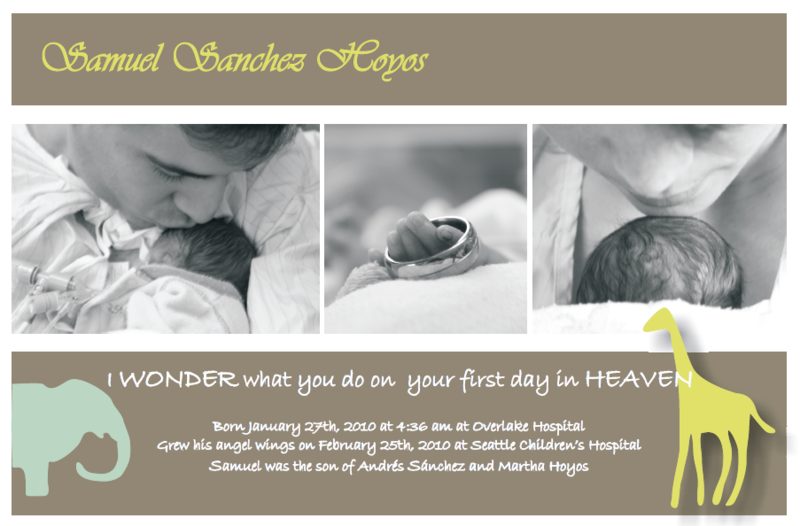 I am trying to find a website to order these birth announcement/ memorial cards. I can’t find them anywhere if you could please help me with a link. http://www.simplytoimpress.com/ is one that I can recommend. recently had a lost and i am trying to find personalized memorial prayer cards. Ingrid, have you tried a local funeral home? That would be the first place I’d look.